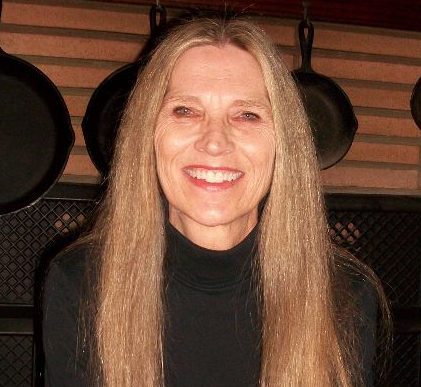 Julia Nunnally Duncan, author of ten books of poetry, fiction, and nonfiction, enjoys writing about her 1960s upbringing in Western North Carolina. Her most recent book is a poetry collection A Neighborhood Changes, released by Finishing Line Press in 2018. Her New and Collected Works is forthcoming from Red Dirt Press. Julia lives in her hometown, Marion, NC, with her husband Steve and their daughter Annie. When I was a girl, my parents and I would drive two hours to Cherokee in the mountains of Western North Carolina for a summer weekend getaway. This was in the 1960s, long before the Cherokee Indian Reservation transformed to feature the glitzy Harrah's Cherokee Casino Resort. Instead, the reservation offered tourists a main drag of small gift shops that sold deerskin and elkskin moccasins, feathered headdresses, toy bow and arrow sets, Oconaluftee Indian Village crafts, Kodak film, risqué car tags, and delicate souvenirs, including snow globes with miniature black bears, which I couldn’t resist shaking to make the snow swirl. Outside on the street one could find a costumed “Indian chief” who was available for pictures for a small fee. A sideshow exhibit “The World’s Smallest Horse” was set up in an enclosed area near the shops. Along with the gift shops were sit-down restaurants, such as the spacious, air-conditioned Sequoyah Restaurant, and other cafés and restaurants that beckoned tourists with Pet and Sealtest ice cream signs. My family usually grabbed a hot dog and soft drink at one of the less fancy eating places and ice cream at the Dairy Queen. Generally, my parents and I found a room at the Broken Arrow Motel, a budget motel just off the highway before we reached the reservation. The accommodations here were a small room with two double beds, a dresser, a black-and-white television set, and an adjoining bathroom. We enjoyed the room’s refreshing coolness, its air conditioning a luxury we didn’t have at home. And though the television set didn’t work well, its picture rolling despite my father’s efforts to adjust it, we loved kicking off our shoes, stretching out on the beds, watching a movie on TV, and drinking ice-cold bottles of Orange Crush from the vending machine outside. One Friday evening, after my parents were finished with their hosiery mill work for the week, we took off for our weekend jaunt to the Smoky Mountains. As always, when we reached Maggie Valley, we stopped at a roadside riding stable to indulge me a horseback ride and then ate supper at our favorite country café. But as we proceeded to Cherokee, we couldn’t find a vacancy at the Broken Arrow Motel or even in the seedy tourist cabins farther along. So we drove on, hoping to find a room. Arriving at the reservation after dark, we saw a lighted area up ahead where a crowd had gathered, and we heard amplified guitar music. My father parked our car in the grass on the side of the road, and we walked till we reached the crowd. Once there, we were relieved to see that the attraction was, as we suspected, a guitar duo that went by the stage name The Cherokee Sweethearts. We hoped these performers, our kin, might help us find lodging for the night. The Cherokee Sweethearts were my mother’s older sister Helen (who took her middle name Audrey as her professional name) and her husband Louis. At the illuminated performance site stood a teepee, backed by a display of hanging ornamental quilts, and a small stage where Helen and Louis sat and played their guitars. Familiar strains of “Ghost Riders in the Sky” and “Wildwood Flower,” played in a Rockabilly style, continued to draw more tourists. When Helen and Louis broke loose with the energetic “Smoky Mountain Rock,” children rushed onto the stage and began fast clogging. I watched in wonder, wishing I had the skill and courage to join the cloggers. How fun it would be to dance so uninhibitedly. But being a bashful girl, I clung to my father’s side and watched the carefree children dance, imagining myself boldly joining them. When Louis spotted us in the audience, his face lit up. Dressed like an Indian chief in tan buckskin trousers and matching vest and moccasins, a crisp white short-sleeved shirt and full feathered headdress, he stood and took the microphone from its stand. “I’d like to welcome our family who’ve come here from Marion,” he announced and pointed in our direction, his husky voice booming in the balmy air. Helen, in her white fringed buckskin skirt and matching sleeveless top, beaded headband, and white Minnetonka moccasins, grinned shyly as her husband made the announcement. She, too, was surprised and pleased to see us. The audience looked our way and applauded our presence there, and I felt like a celebrity. Louis was a natural showman. He could play the audience as skillfully as his thick fingers played the guitar. When he told a slightly off-color joke, his audience roared. But the next moment he could grow reverent and speak spiritual words, appealing to the Christian convictions of his admirers. Then he and Helen began a rendition of “How Great Thou Art.” Some listeners quietly sang along, and I watched a few wipe tears from their eyes. But then the mood shifted as they lit into “Cherokee Boogie,” a brisk piece that lifted the spirits of the audience. Then the slower “Gypsy Guitar,” with its drumbeat rhythm and Indian sound, made everyone suddenly feel a kinship with the Cherokee tribe. In reality, Helen and Louis were no more Native American than the rest of our family, whose roots were more Scotch-Irish than anything. Louis—a stout man with wavy sandy hair and blue eyes—was mostly concealed by his costume, though his tan skin and rounded facial features might have been suggestive of the Cherokee people. But Helen, on the other hand, could easily pass for a Cherokee with her shapely petite build, shoulder-length black hair, dark brown eyes, and pretty face. My mother has often told a story about when Helen and Louis, along with Cherokee natives, joined a wagon train. As they moved along in covered wagons and on horseback, someone watching them pass by spotted Helen and commented, “You can tell she’s an Indian.” Indeed, she looked authentic. The natives didn’t seem to take offense at the illusion she and Louis created and for many years welcomed them as a featured attraction at their reservation. The Cherokee Sweethearts had cut albums and 45s at a recording studio in Greenville, South Carolina, which they sold at their performances in Cherokee and at other musical events where they appeared. The albums Themes of the Smokies and Favorite Tunes were popular tourist items, featuring tunes such as “John Henry” and “Wabash Cannonball.” Helen gave my mother a copy of Themes of the Smokies, which she eventually passed along to my older brother, and a 45 with the tune “Spanish Guitar Strip” on side one and “Cherokee Boogie” on the flip side. I have seen several of Helen and Louis’ KLUB label 45s still available on eBay. Helen, according to my mother, had always played the guitar and enjoyed performing. In fact, she and my mother were a musical duo in the 1930s when they were girls. “We sung ‘Home on the Range’ and Western songs that was popular at the time. A couple of years later, my mother and her sister went to a Spartanburg, South Carolina, radio station to try out for a singing job. “Helen’s boyfriend Squats took us,” my mother recollected and added he was nicknamed Squats because of his short stature. I asked her if Helen played the guitar for their audition. She said they must have gotten the radio job because they were asked to come back the following Thursday. But on the drive home to Marion, Helen and Squats stopped along the way and got married. Helen lost Squats in 1957 to a diabetic coma when he was forty-three. Helen was thirty-six at the time. The following year she married Louis, a World War II Navy veteran who was thirty and a widower. “How did Helen and Louis meet?” I asked my mother. I always wondered if Helen and Louis met and fell in love because of their mutual guitar playing or if by some chance they met and then discovered their musical kinship. In any case, they must have started making music together professionally soon after their marriage in 1958. In 1963 they won prize ribbons at the Old Time Fiddlers Convention held at Union Grove, North Carolina, and had by then developed a regional reputation. Hearing them in Cherokee was a thrill for me—the atmosphere was electrifying, and the audience treated them like stars; clearly they were greatly admired there. But I had heard them performing before in a less public circumstance and not as The Cherokee Sweethearts. Occasionally, they would visit us from their home in Drexel, a small town thirty miles east of Marion. Dressed in regular clothes and hauling their guitar cases and amplifier into our house, they set up a performance stage on our front room’s hardwood floor. Once they began playing, our neighbors, drawn by the boisterous guitar music, would drop in to listen. Some stood on the front porch and watched the concert through the screen door. No one complained about the noise, though likely you could hear the amplified music throughout the neighborhood and around the block. The music was vigorous, with its strong percussive rhythms. Heads bobbed, feet tapped, and all the listeners smiled at familiar tunes: some boogie-woogie, some country, and some gospel. Everyone was impressed by Helen and Louis’ perfect coordination as they performed together. Though many people in my area at that time could play the guitar—my mother and father included—the virtuosity that my aunt and uncle exhibited was rare. These home performances were exciting, but seeing my aunt and uncle entertaining at the Cherokee Indian Reservation, dressed in showy costumes as The Cherokee Sweethearts, shed a glamorous light on them. This weekend job was by no means their “day job.” Helen worked in a cotton mill in Valdese (having grown up, along with my mother and her other siblings, in Marion’s Clinchfield cotton mill village), and Louis worked at the carbon plant in Morganton—a job that his doctor would later associate with Louis’ lung cancer, which took his life in 1993. In their town Drexel they lived a normal life, raising her son and his daughter from their previous marriages. Their white frame home with its neat yard adorned by Helen’s flowers (which had already begun to bloom that late-March in 1998 when Helen died of a heart attack) seemed a source of pride for them. Yet I believe their weekday life was not the one they enjoyed so much as their weekend life spent in the Great Smoky Mountains making music and being deeply appreciated. That summer evening when my family traveled to Cherokee and could not find a room, we were saved by Helen and Louis. They arranged for us to crash with them and their friends. The accommodations were cramped and dark, and I have little memory of the exact place where we stayed. But my parents were there, so it was all right. We hung close to Helen and Louis the next day and got an insider’s view of their weekend world and the people they associated with. I recall hearing the expletive son of a b— for the first time and not really understanding it, but otherwise the circumstances were decent and congenial. At one of the shops near Helen and Louis’ performance site, my father bought me a little red plastic name tag with JULIA engraved in white letters. I was touched by this unexpected gift and pinned it to my striped sweater to wear proudly that Saturday. For lunch, my parents and I ate a hot dog, and for dessert I had an ice cream cone from Dairy Queen. My father took me to see the world’s smallest horse. This was one of the last trips we would make to the Cherokee Indian Reservation, and it was the most memorable. My father’s endearing gift of the little name tag and our time spent with The Cherokee Sweethearts made this weekend a special one in my childhood.